Whether you have a performance diesel, a sport compact, a racecar, a classic car, a muscle car, or anything in between AutoAnything has the right Champion Performance Oil for your vehicle. 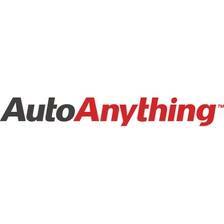 Champion Brands is pleased to announce the addition of an on-line sales team of AutoAnything, a San Diego-based, rapidly growing e-commerce Company that merges the high-speed lane of specialty automotive parts and accessories with cutting-edge internet technology and world class Customer Service. AutoAnything’s entrepreneurial style, knowledge of the competitive landscape and innovative business model allows them to excel in the auto and light truck aftermarket industry. AutoAnything is currently ranked #204 in the Internet Retailer Top 500 Guide of e-Tail companies. Champion Brands is an industry leader in the development of synthetic motor oils for the passenger car, racing, diesel, classic, vintage, hot rod, muscle car, and the engine builder markets. Along with the current API / ILSAC rated oils for newer cars, Champion also manufactures numerous multi-viscosity motor oils with high zinc and phosphorous formulas designed to deliver the correct balance of chemistry to protect vintage and high performance engines, especially those using flat tappet and/or roller cams operating at high RPM's and requiring high-pressure valve springs. Champion oils also contain special lubricity modifiers to reduce friction, and unlock the full potential of any engine by providing increased compression, horsepower and torque. Champion Brands, LLC, is a globally recognized industry leader in specialty lubricants for over 55 years. Champion Brands, LLC also produces and blends over 300 products including fuel, oil, engine additives, and lubricants for the automotive, racing, heavy truck, agricultural, industrial, and specialty markets. For more information about Champion contact your nearest Champion distributor, or call Champion at 800-821-5693 or 660-885-8151. Champion Brands, LLC; 1001 Golden Drive, Clinton, MO, or go to http://ChampionsUseChampion.com or on Champion’s Facebook page at http://www.facebook.com/championbrands.